Cheryl Roberts was appointed to be the President at Shoreline Community College on August 1. 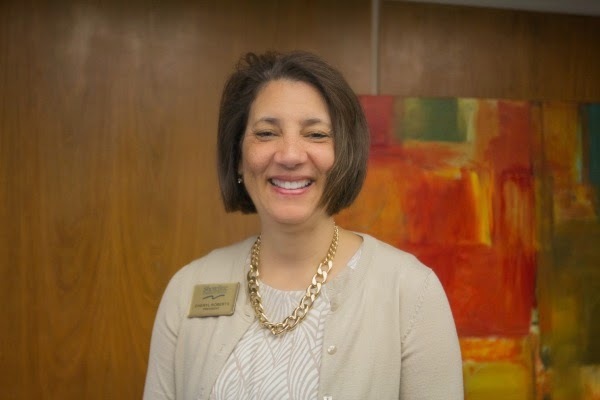 Roberts, now starting her 35th year of higher-education, is excited to make changes at Shoreline to make the student experience better than ever before. Three strikes. In baseball, you’re out! In the justice system, you’re in prison. At Shoreline Community College, starting this quarter, you’re in trouble! Soon a three strikes policy will be in effect on our own campus, a major change to the Dishonesty in Academics policy (5033). The faculty has become increasingly concerned about students cheating in multiple classes. Just because you got caught in your Modern English class doesn’t mean you got caught in your European History class. Behind the northeast corner of the library, just off the path, is a memorial bench to remember Wolff, and the astounding effect he had on campus. On Sept. 18 friends and co-workers of Wolff came together for the ceremony. Among those attending was SCC’s new president Cheryl Roberts. For some students, completing high school isn’t an option for a variety of personal circumstances that may come up in life. The General Education Development test, or GED, has always been an option to move forward, but recent changes in the educational system have made this seem like more of a road block than a pathway. Proposition 1 was defeated by voters on April 22. Now Metro plans to make major cuts to their service. So what does that mean? Essentially, this means that there are going to be a lot of cuts to bus services. Metro’s website says that it is going to cut 72 bus routes completely, while making changes to 84 routes, which roughly makes up a cut of about 17 percent of Metro’s services from what they were before the special election for Proposition 1. The Veterans Resource Center will soon look very different and much improved. The walls were just painted. New carpet is coming, new furniture is approved, and several new computer stations ordered. The VRC has been using surplus odds-and-ends since it opened in a well-worn set of rooms in the FOSS building. Ashley Cowan was recently elected as student body president at Shoreline Community College. With 263 students lending their voices to a chorus, Cowan was elected with 150 votes. President Elect Cowan said she was “thrilled” and “honored” by the trust her fellow students have placed in her as their next student body president. Cowan is familiar with being a public servant, having served as student representative serving the Wellness, CDAC and Safety Committees this past year. What colors you as an individual? How does the way you identify yourself speak about what kind of person you are? Enter the Students of Color Conference (SOCC) that recently took place in Yakima, Washington. For 24 years, the SOCC has taken place around Washington State where students from 19 colleges meet to talk and learn about racial, ethnic, and cultural identity. This year the conference was a three-day event at the Yakima Valley Convention Center. Its large banquet halls hosted meals, workshops, and presentations for everyone involved. The Associate of Fine Art Graduate show is currently being displayed until May 9 in the 1000 building. Works from current graduates of SCC’s Associate of Fine Art degree are featured in the show. Students who are almost done with their degree present their samples of drawing, painting, photography, and other art forms.